I have one flat rate for cleaning fireplaces and free standing woodstoves. Woodstove inserts are also included providing it has a flue liner connected to the stove. Woodstove inserts that don't have liners must be removed, then cleaned like an open fireplace and the insert reinstalled. There is an additional $100.00 charge for this type of cleaning. Inspection reports are free and are provided with every sweep. All my work is guaranteed and there are no hidden costs. Give me a call, as I always try to answer my phone. First, I show up on time! If I'm running late, I'll call you. When I arrive, drop cloths are then laid out to protect your carpets and furniture, and our equipment is brought in. A large, custom vacuum called a Soot Sweeper is used, and is specially designed to not allow any dust or soot to escape, further protecting your home. Your fireplace or wood stove is then draped with a sheet, and the vacuum is installed to capture all debris, and I head up to the roof. Once up there, I remove and clean the chimney cap and sweep the chimney, checking to be sure all creosote is removed and can inspect the condition of your system from the top down. I'll then return to the interior to clean the fireplace or wood stove . On fireplaces, I have to crawl into the firebox, and vacuum out the smoke shelf removing all the soot and debris that was swept down the flue. Once cleaned up, I continue a full inspection to insure the safety of your system. While it is generally a quick and simple process, it's of the utmost importance that it's done right. If proper measures aren't taken to insure cleanliness during the job, it could be disastrous! It's also very important that a thorough inspection is done by a knowledgeable and experienced chimney sweep to insure your safety. Fireplace cleaning, glass door installation, wood-burning stove cleaning, furnace flue cleaning, damper repair, and dryer vent cleaning. Wood Stove Removal Need an Estimate? 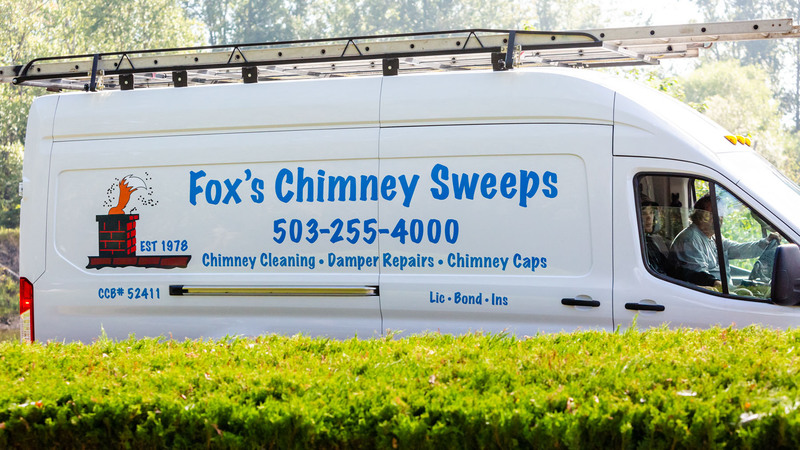 © 2019 Fox's Chimney Sweeps.